As of December 2018, the benefits department did not properly modify electronic platforms such as the Long-Term Solution software that was intended to improve housing payment procedures for service members, veterans and their families. The report states that VBA faced challenges such as “unclear communication of implementation progress and inadequately defined expectations, roles, and responsibilities” regarding the contractors involved in the effort. 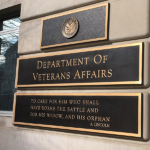 The VA noted defects in the software which failed testing on certain scenarios that were not accounted for during the development phase. To help the department improve operations, Mitre released a report in November containing recommendations on the management and technical aspects of the software.